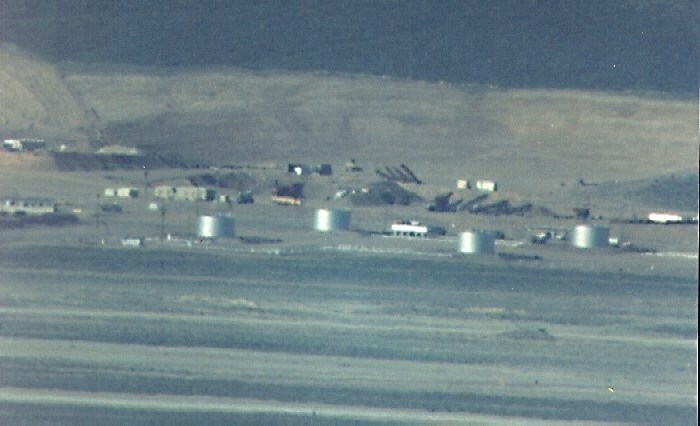 In the center of the photo are the Original POL storage tanks for the A-12 operations. These tanks and others were originally part of a huge tank farm set up to hold the JP-7 fuel used for the huge J58 engines of Project 'Oxcart' and the A-12 spy plane. In the background we have more earth-moving conveyers and the north end of the gravel pit.